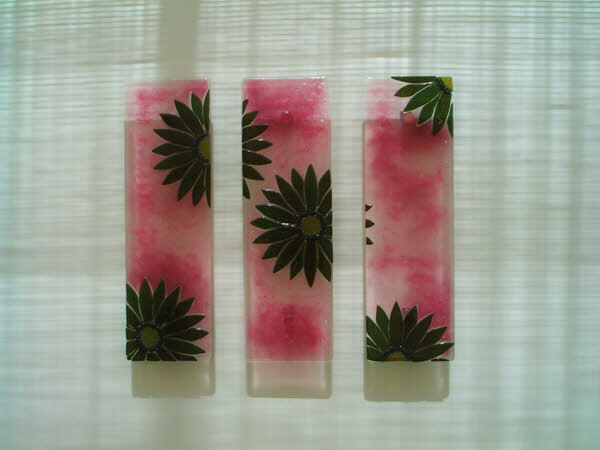 Triptych, Fused Glass Wall Art, Chrysanthemums. My customers supplied me with a lovely close up photo of a bunch of green chrysanthemums and pink antirrhinums (you know, snapdragons!) 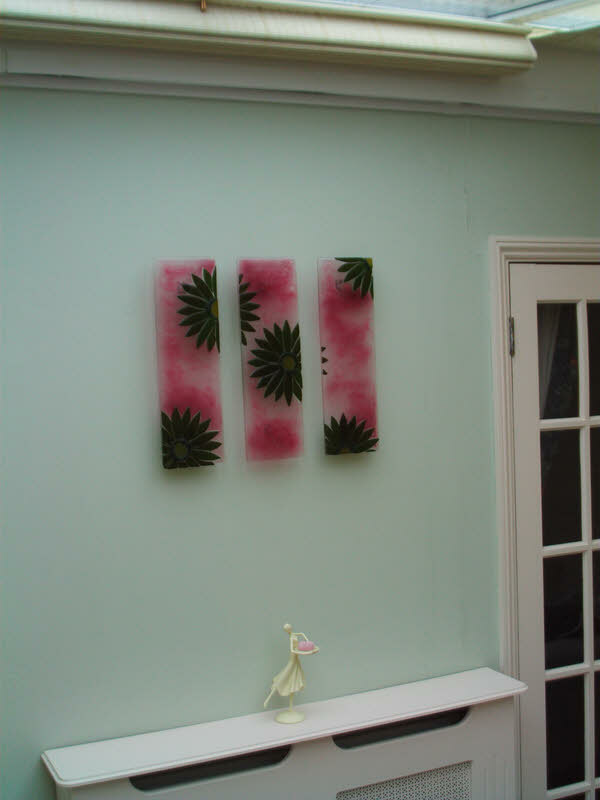 They have rebuilt their conservatory and wanted a piece of fused glass wall art to compliment to new room. 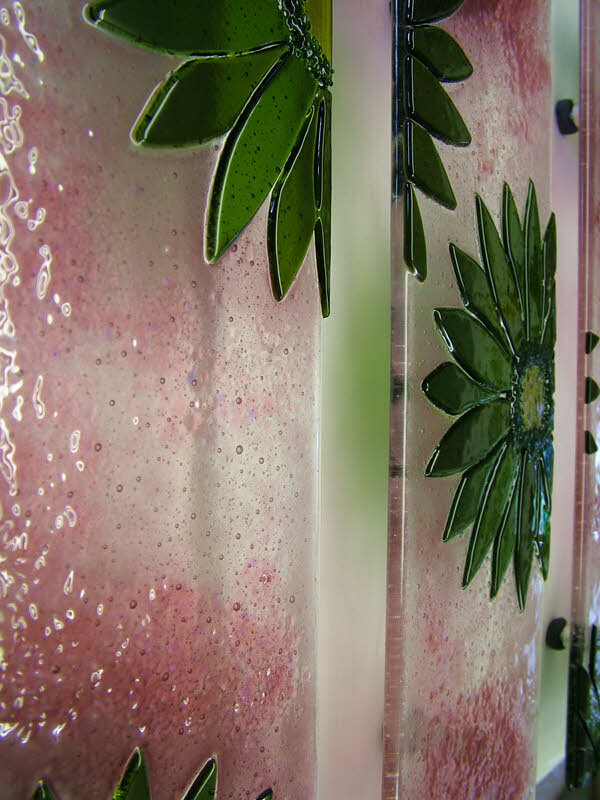 I designed 3 wall panels with the flowers spreading over the 3. These are fixed using a great system that fits to the back of the panels so each is easily removed for cleaning. 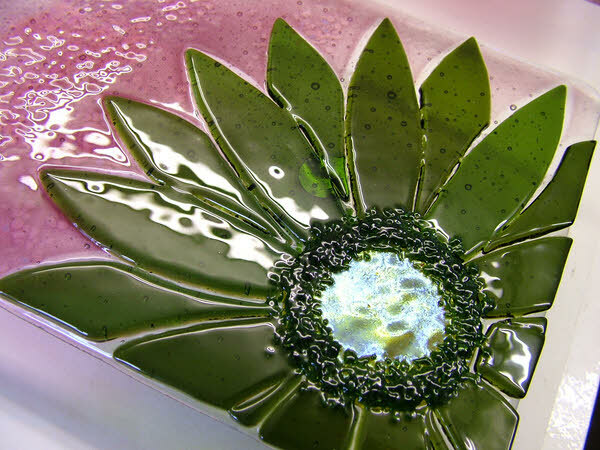 Each piece of glass had 6 firings, building up the layers of pink powders and glass grains on the background and then finally, lightly (750 degrees) firing the flowers on to the surface so that the petals are raised and catch the light. This project took surprisingly long to achieve just the right result but my customers approval said that it was worth the wait!